China town can be found all over the globe today, considering how many Chinese immigrants there are scattered around the world. Almost every modern and developing city has its own China town; a small treasure trove for the local Chinese to call their own showcase of their unique culture. In Malaysia, diversity is something unique in the country and the nation has its very own China Town located in the heart of the capital city Kuala Lumpur. 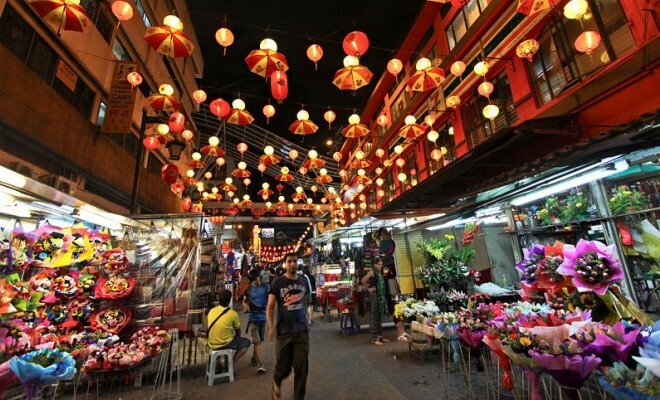 China town Malaysia is in the street known as Petaling Street. It is a great place to spend a day shopping, eating and immersing yourself in the rich culture of the Chinese settlers who came to “Tanah Melayu” at that time. Many stores and old fashioned vendors line the streets of this quaint China town. At first glance, the district is certainly a great place to shop at, where bargaining is part of the culture that comes along with the small town. You will also find that there are many fake designer goods that look almost as good as the real ones being sold here. In fact, most of these fake designer goods were mostly rejects from the same factory that produced the more expensive and real designer goods. All prices are bargain-able so it certainly is an amazing place for shopaholics. If you explore the town further, you will discover that there are many ancient temples located here in the town. Most of the temples you find here are Buddhist temples but there are also Hindu temples located in close vicinity here like the Sri Mahamariamman temple. It certainly is a unique cultural experience for one as diversity thrives in the nation. The food is a must do tourist activity. Do eat light as you will surely want to taste a little bit of everything. Food here is affordable and it certainly is the right place to indulge in the local Chinese cuisine because you will find some of the best flavors dished out right here-by the local Chinese themselves! At night, the market that is nestled within the China town becomes a lively tourist attraction – a pedestrian open air mall that has many exciting bargains and things to see. It certainly is a one of a kind experience just walking down the market streets at night. Be careful though as the streets can get pretty crowded so do watch your belongings carefully. It is comforting to know that the local police do frequently patrol the area. So, if you are having holiday in Kuala Lumpur, drop by the exciting and unique China town of Malaysia!